Thanks Mom for taking these great photos! This past weekend we experienced yet another milestone in the Organ household. 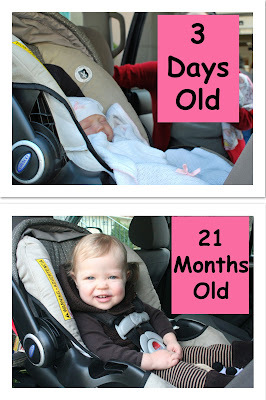 Our sweet little girl finally transitioned from her infant car seat to a big girl convertible car seat. It seems like only yesterday that she was taking her first ride in that car seat as we were bringing her home from the hospital....sniff, sniff! Our Graco 35 infant car seat has served us well and is now being cleaned and stored away, but only for a little while. Come June it will yet again be installed in the family car for baby #2. McKinley is now enjoying her new big girl car seat. an impromptu holiday photo shoot. I just love this girl! My little brother is officially off the market. 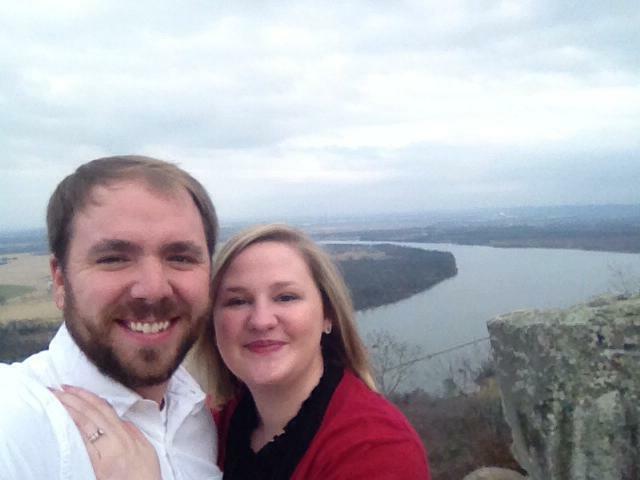 Over the holidays Kyle proposed to his sweet girlfriend! Congratulations Kyle and Mary K! While we were in Arkansas for the Holidays, McKinley got to experience her first snow. It actually snowed 6 inches on Christmas night and then we spent the next two days playing in it! What a great way to end the Holidays! Somebody was excited about the snow! Dressed and ready to play. I think she loved sledding down the hill even more! Being silly with Aunt BJ. "Hmmm, what is this round thing?" I think somebody really LOVED playing in the snow! We realized that even though the previous Christmas was amazing, McKinley was overwhelmed by the amount of gifts. We also realized that is was silly for us to bring all of McKinley's gifts to Searcy, just to have her open them and then bring them right back to Nashville. When my siblings and I were young we always travelled 6 hours to my Grandparents house for Christmas. I am sure we were limited on car/trunk space as it was, plus we would be bringing back all the new gifts we would be getting from family. So we were always told that Santa was going to leave gifts for us at our home while we were away. We would get all loaded into the car to go to my Grandparents and one of my parents would go back in the house to set out all of our gifts from Santa. Once we arrived back home after the Holidays it was so much fun running into the house to see what Santa had left! Time to open some gifts! Stickers were one of McKinley's favorite things this Christmas. We would like everyone to meet the newest member of our family, Janelle Ireland. We are calling her "Elle". This was one of McKinley's favorite gifts this Christmas. Honestly, I was beyond thrilled when McKinley opened her first Cabbage Patch Kid! Thanks Uncle Rob, Aunt Maya and Serkan!